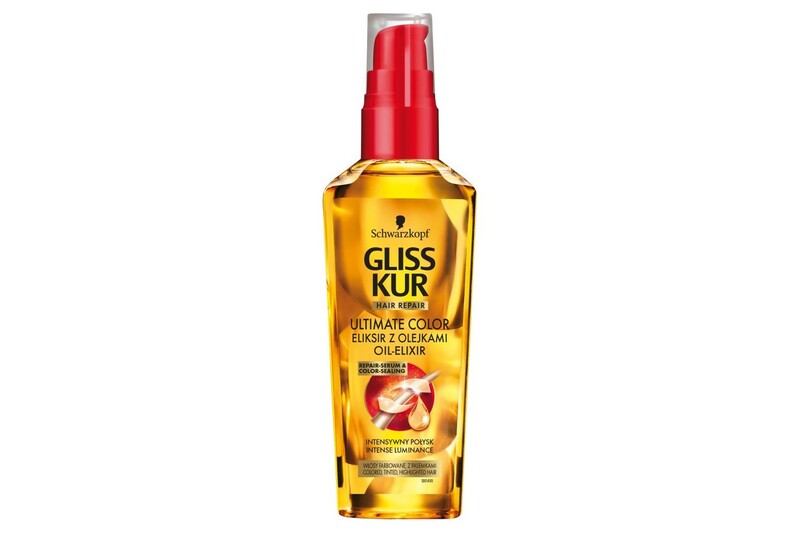 Gliss Kur Ultimate Color Oil Elixir protects natural colour of the strands and increases shine of colour-treated hair. 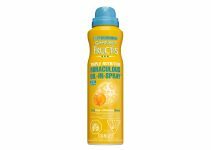 It moisturises, nourishes and protects against UV rays. Moreover, the product repairs hair ends, nourishes coloured hair and prevents colour from fading. It emphasizes the reflections and natural shade of the strands. Thanks to Gliss Kur Ultimate Color Oil Elixir, hair becomes soft and smooth. How to use Gliss Kur Ultimate Color Oil Elixir? Apply one pump of the product from mid-lengths to hair tips. Rub the cosmetic thoroughly in damp hair and wait until it is absorbed. You can block the applicator by twisting the dispenser – in this way you avoid spilling the oil. What ingredients does Gliss Kur Ultimate Color Oil Elixir contain? The product includes: sunflower oil, apricot kernel oil, sesame oil, olive oil, sweet almond oil, macadamia oil, argan oil, marula oil. The cosmetic also includes two volatile silicones and natural sunscreen. 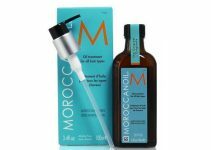 These ingredients provide your hair and scalp with complex protection and nourishment. Useful information: Gliss Kur Ultimate Color Oil Elixir has an oily consistency. The colour of the product is intensely yellow. One bottle holds 75 ml which is enough for more than six months of treatment for fine and short hair. The cosmetic has a nice fragrance which swathes your hair with a citrus aroma. Fun fact: Peach oil, included in Gliss Kur Ultimate Color Oil Elixir, is a polyunsaturated oil. This ingredient is excellent for medium and high porosity hair. It penetrates inside the strands in no time and is ideal for hair oil treatment.